This conical shaped garden planter with swags is frequently seen throughout the famous gardens in Italy. Handmade in Tuscany in Galestro clay so sizes may vary. Drainage is provided. 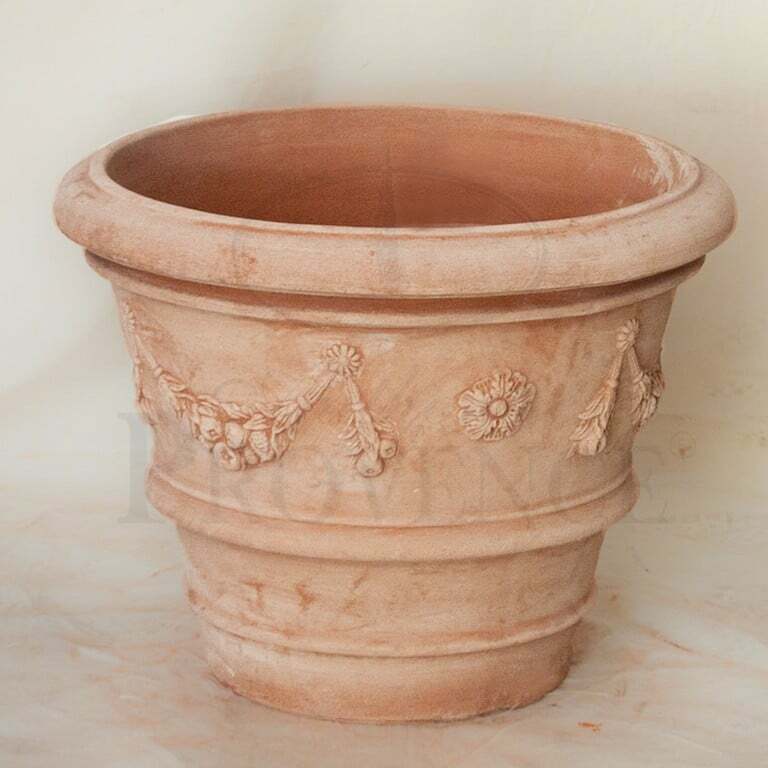 Categories: Garden Planters, Tuscan Terra Cotta Planters. Tags: ITALIAN TERRA COTTA, ITALY, NATURAL, PLANTER, TERRA COTTA. 19 H in. x 23.75 W in. x 23.75 D in. C: 19 H in. x 23.75 W in. x 23.75 D in.